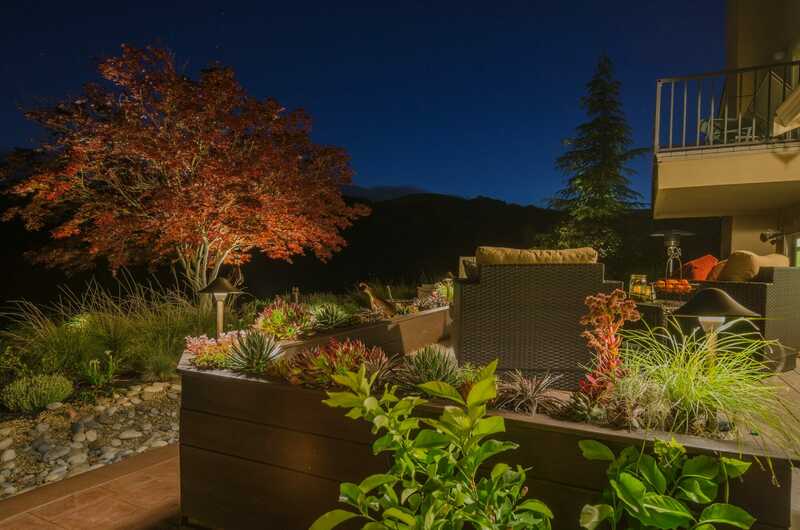 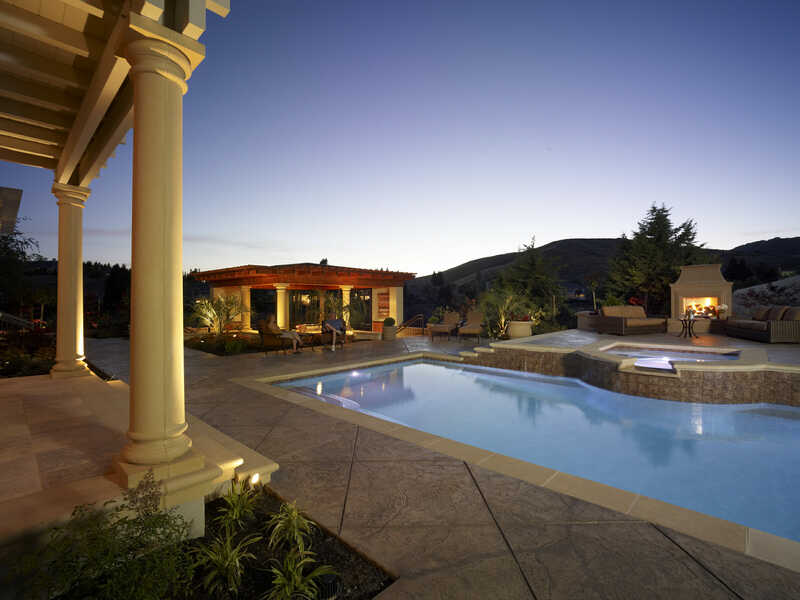 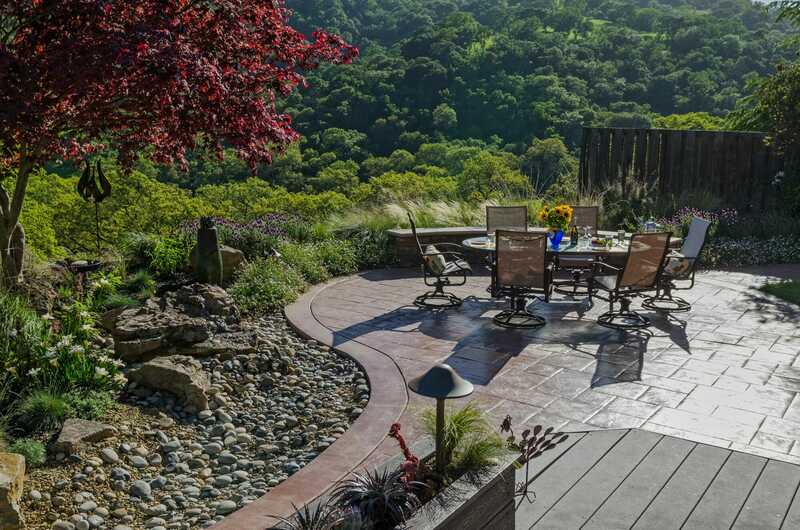 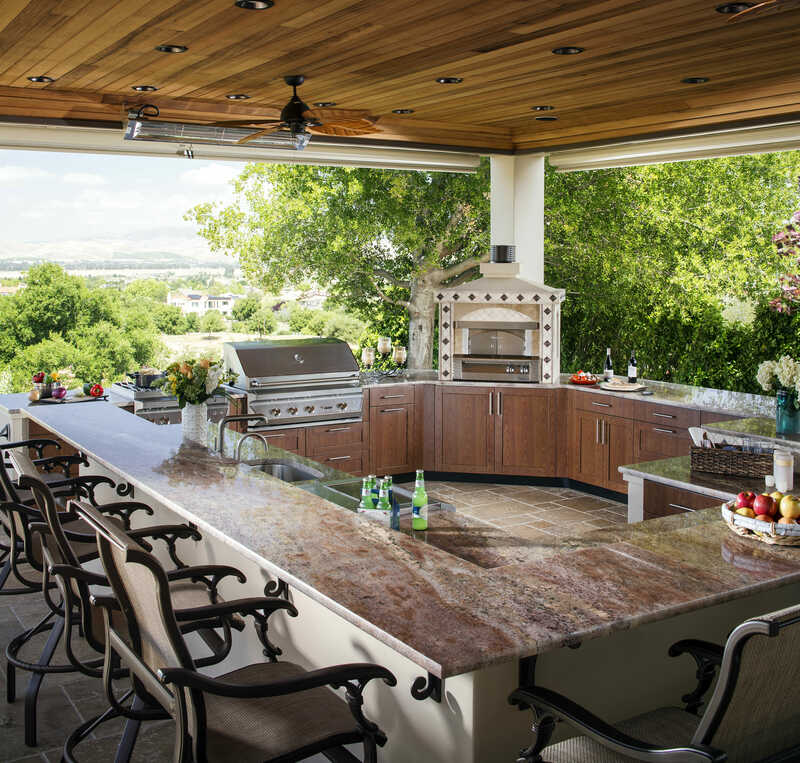 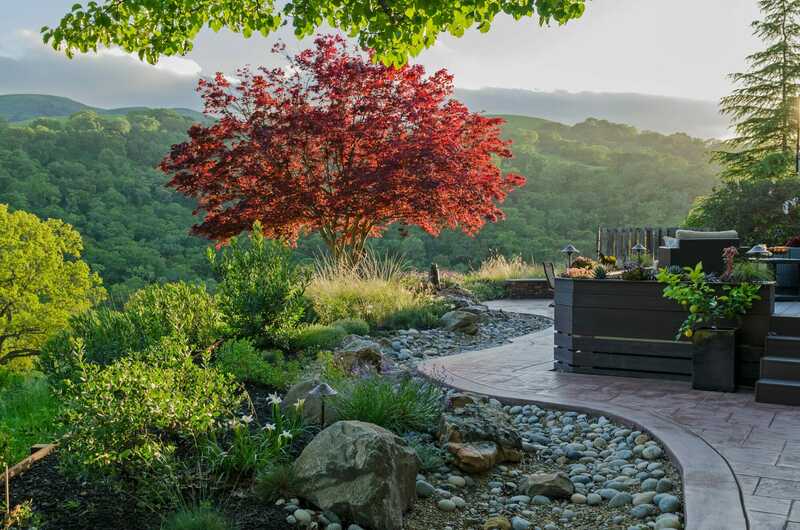 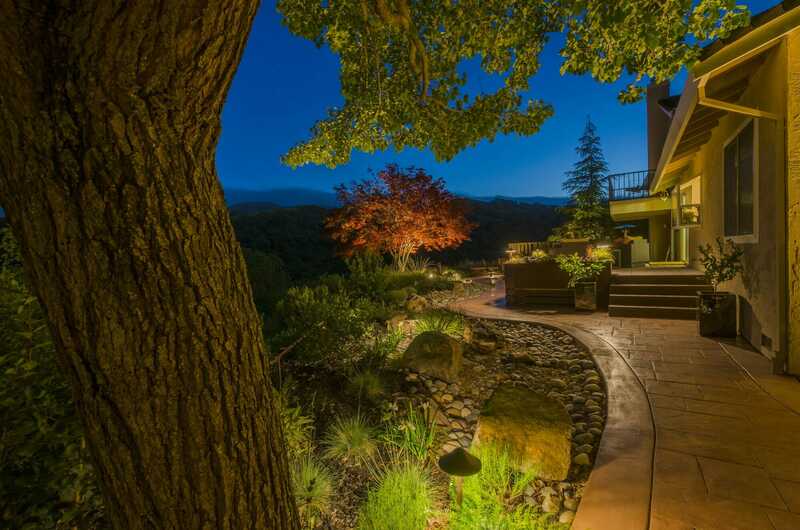 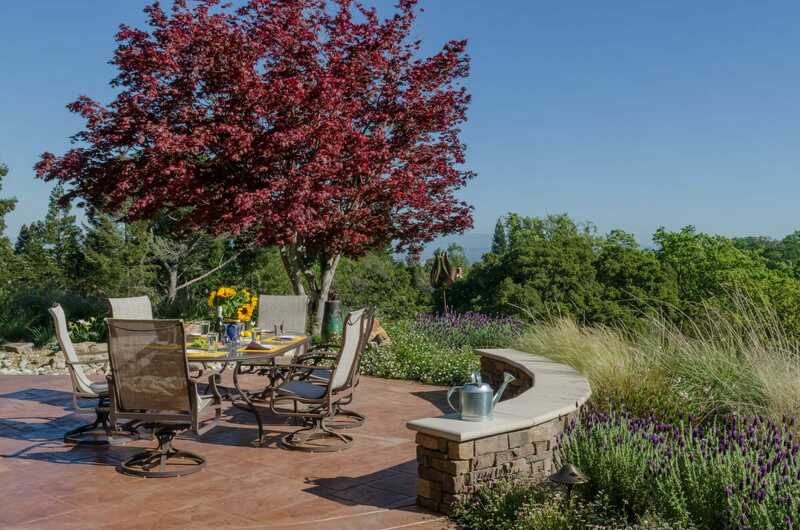 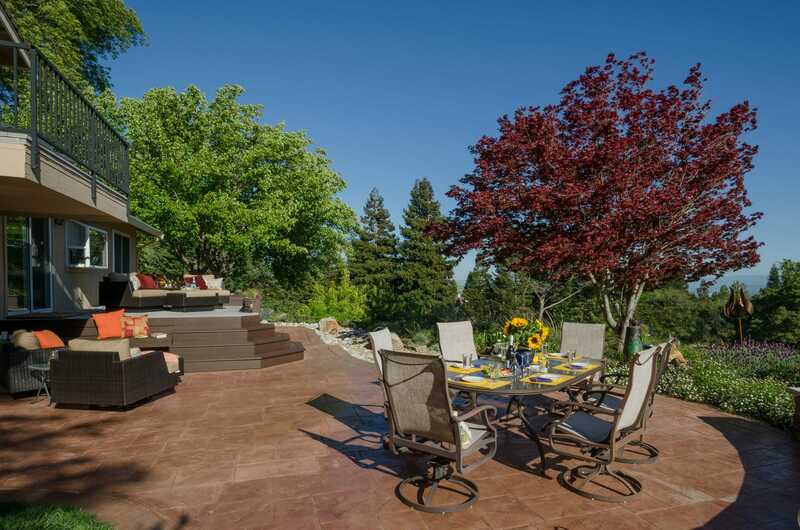 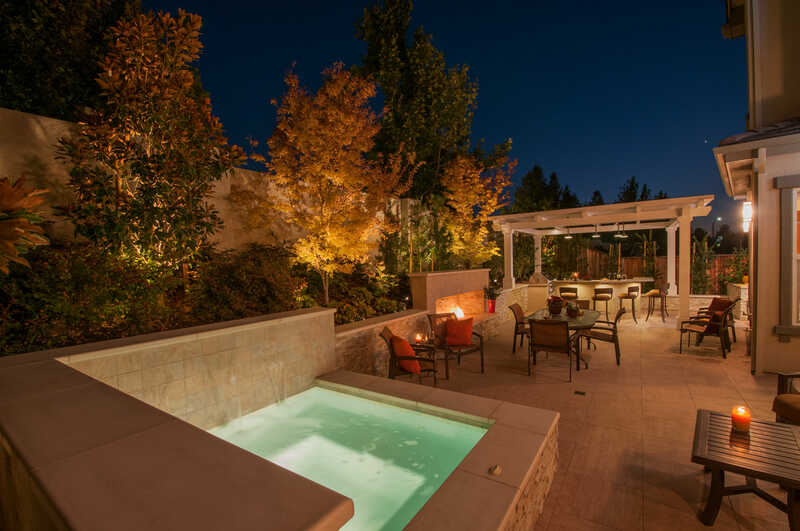 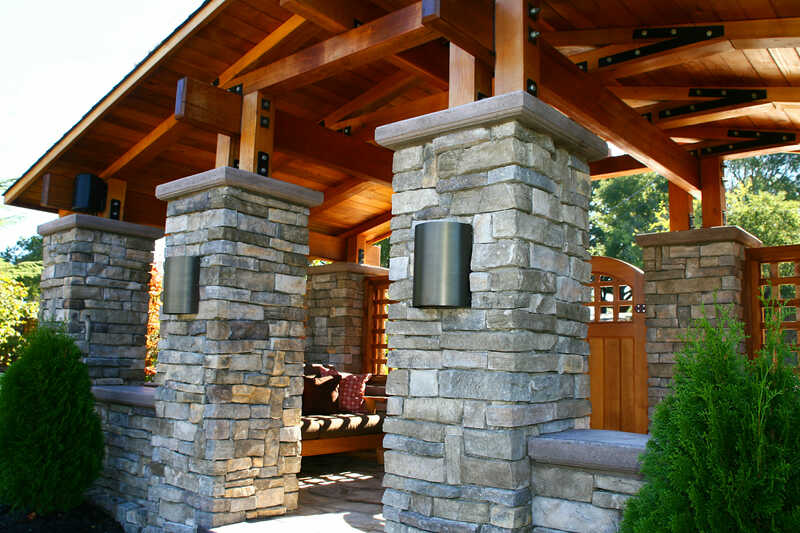 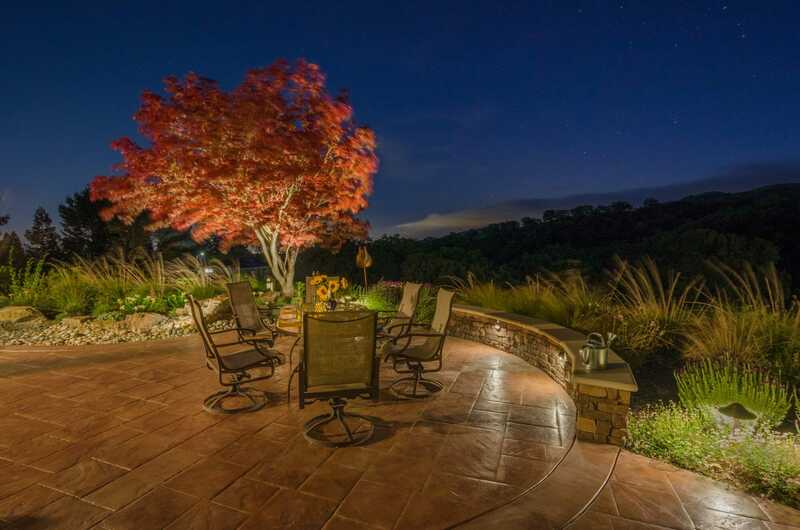 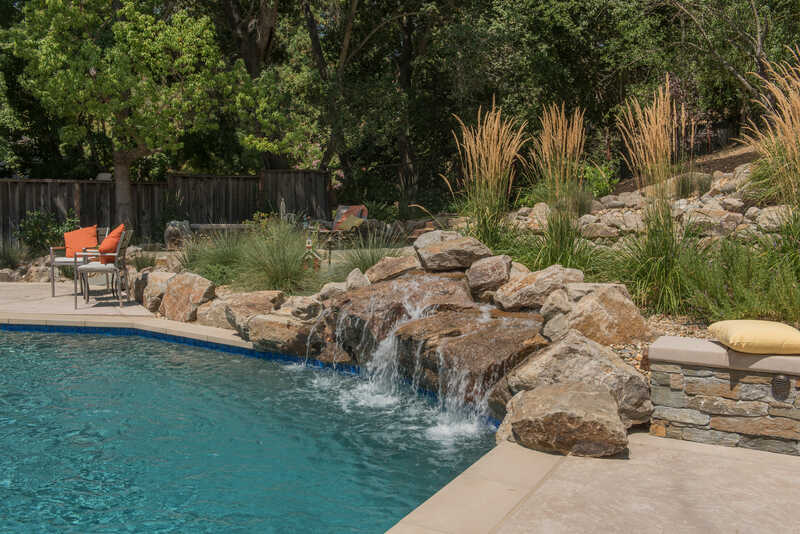 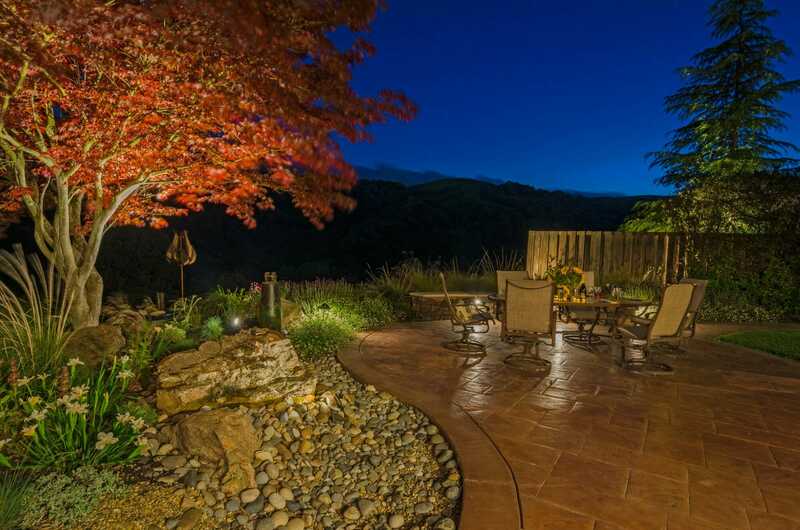 In 2015 severe drought and incentives for lawn and irrigation conversion from EBMUD made it the perfect time for this San Ramon homeowner to update their landscape. 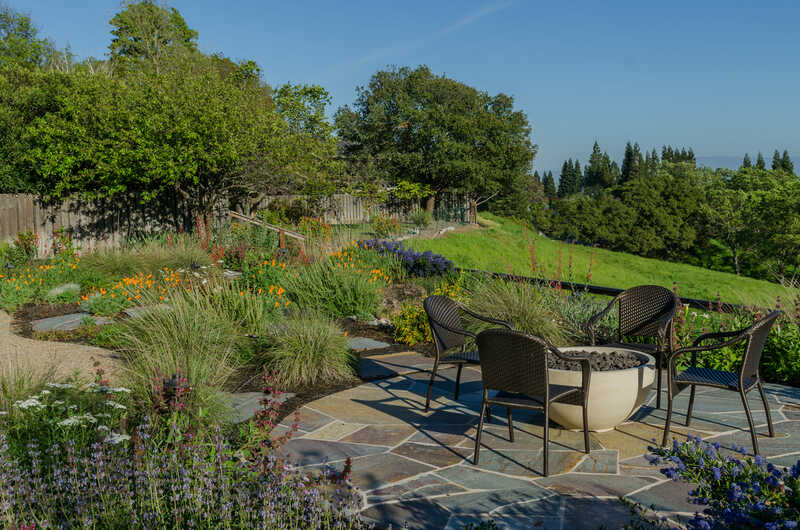 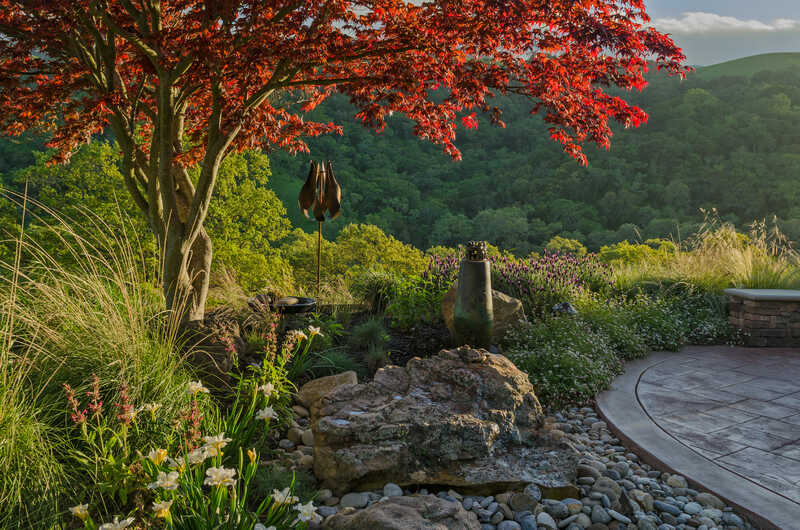 Except for a small patch of lawn for the family dog and a gorgeous Japanese Maple, all planting areas were converted to climate-adapted and California native trees, shrubs, perennials and grasses. 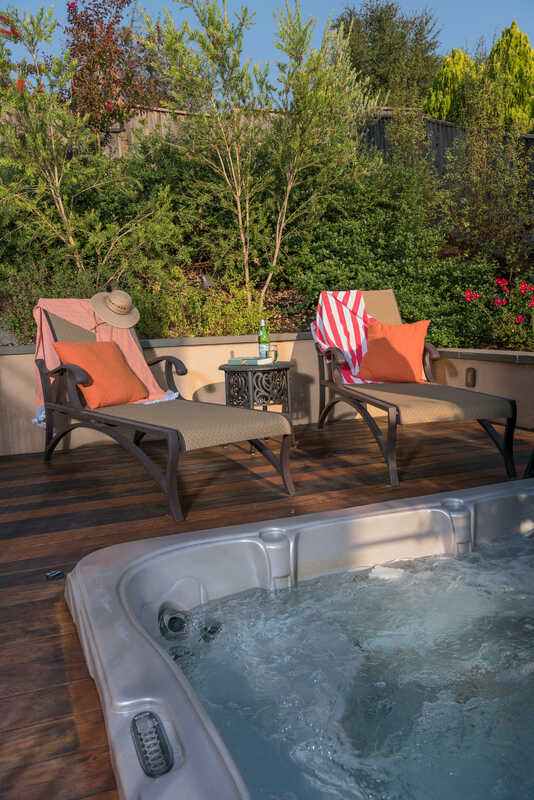 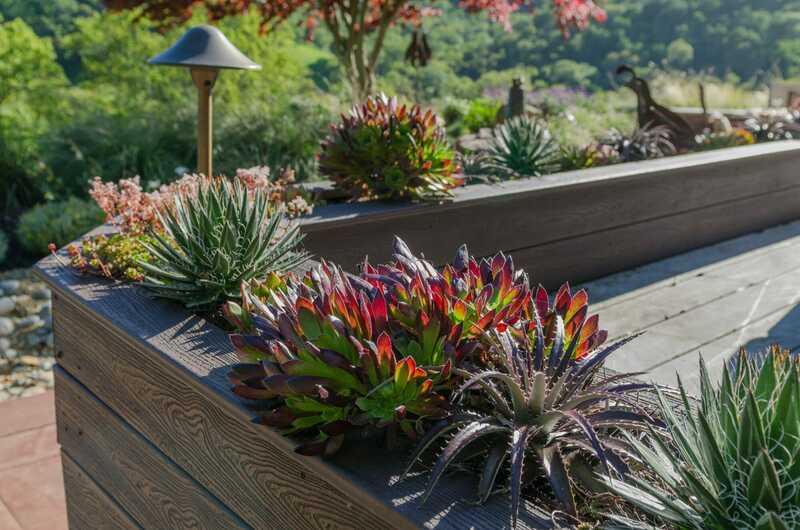 The backyard deck was upgraded and around it sits a planter filled with colorful, low-water use succulents. 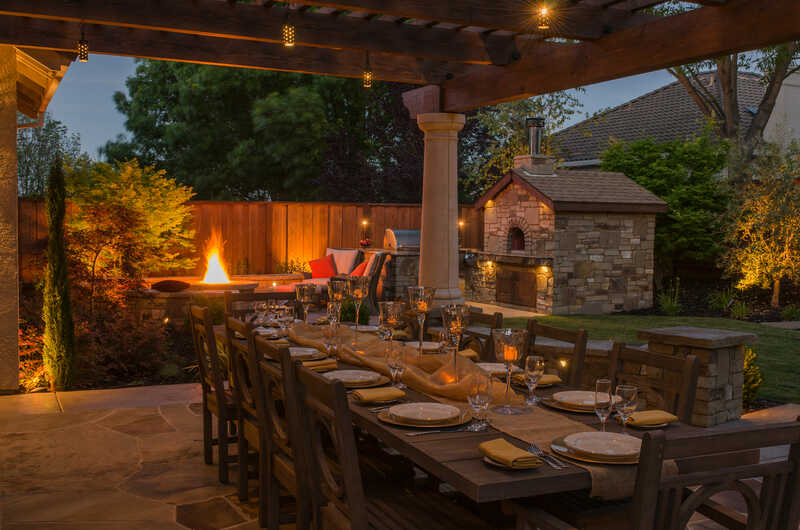 Two new patios with seat walls provide a place for outdoor dining and cozy fire-pit gatherings. 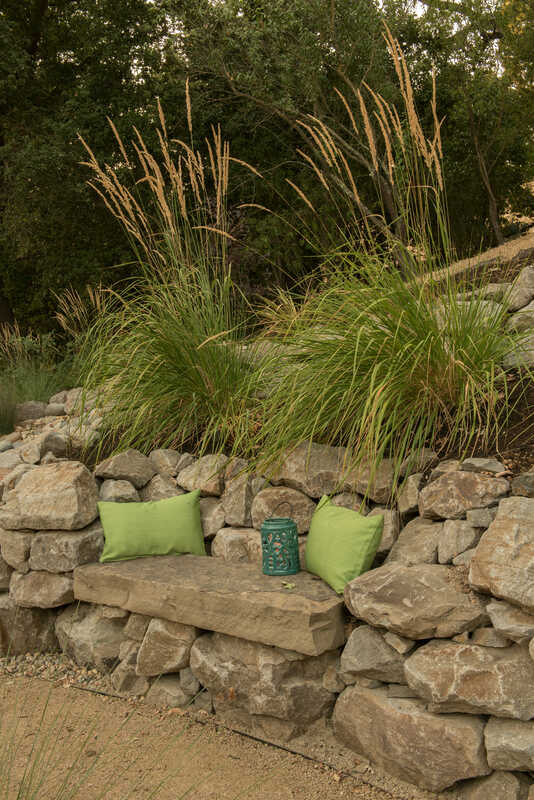 Dry stream beds collect storm water to sink into the soil. 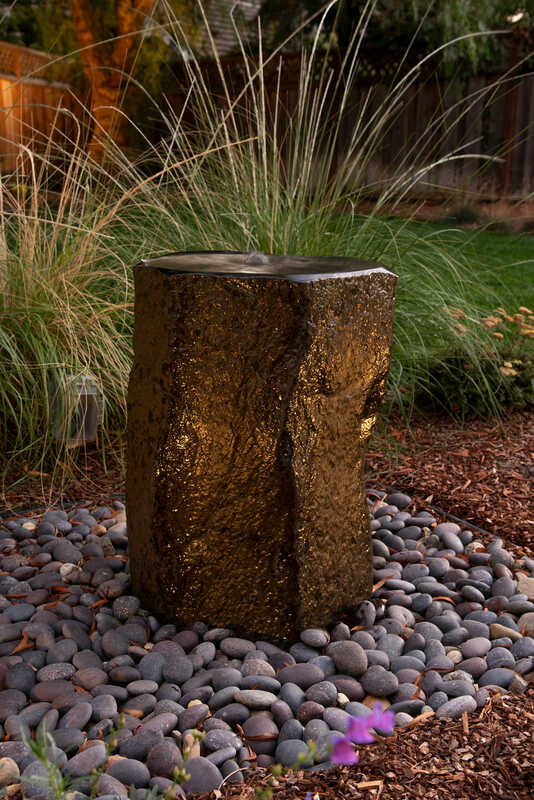 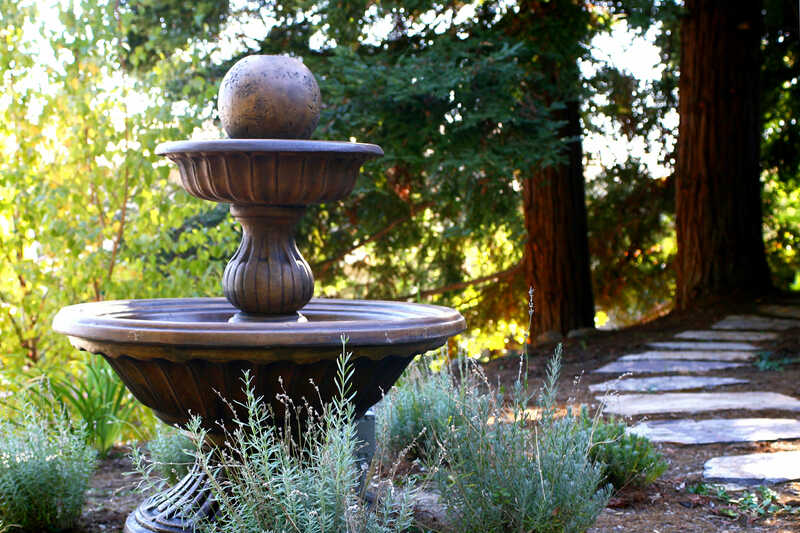 A beautiful tan fountain boulder, they lovingly named “Phil,” creates a delightful burble while attracting birds and wildlife to stop for a bathe and drink.